Online applications are invited for B.Ed. Combined Entrance Competitive Examination for the year 2019. ** The Candidate will have to choose only one subject (Within a subject category) which she / he must have studied in the qualifying degree, i.e., Bachelor’s Degree or Master’s Degree for at least 200 marks and out of which obtained at least 50% in that subject. The subject will henceforth be referred to as the teaching subject in the B.Ed. course. ** There is no restriction in the passing year to apply in B.Ed. course. Just follow the below steps to apply for the B.Ed. Combined Entrance Competitive Examination-2019. Step 1 : Visit the official website of JCECEB through provided above. Step 2 : Then click on the “All Online Application Submission – JCECEB 2019” button in the home page. Step 3 : Read the instructions carefully and click on the “New Registration” link. 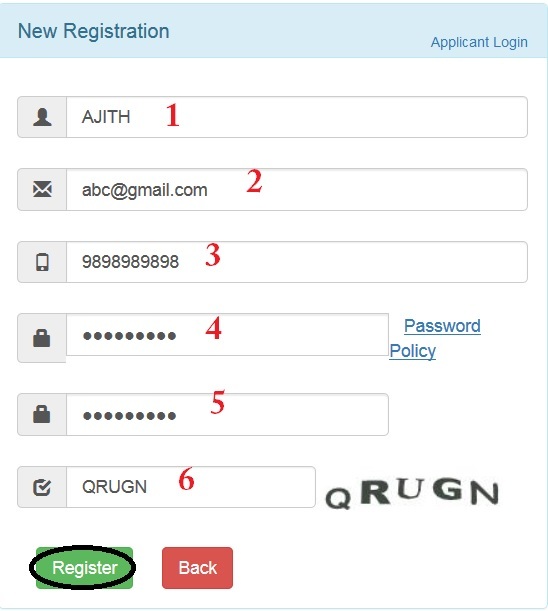 Step 4 : Fill the registration form with the required details and click on “Register” button. Step 5 : After complete your registration you will get a confirmation message to your registration email id and mobile number. 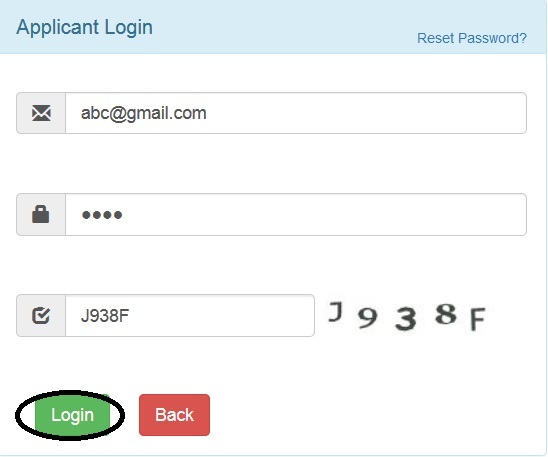 Step 6 : After that, Login with your registered email id and password. Step 7 : Next, fill the remaining application form with the required fields and upload the necessary documents. Step 8 : Finally click on “Submit” button to complete the application. ** Online Registration opens on 15/03/2019 and closes on 09/04/2019. ** Please read Advertisement carefully before proceeding. ** You should have a valid Email Id, Mobile No., Scanned Passport Size Photo, Signature, 10th + Graduation Marksheet, Domicile Certificate, Cast Certificate, NCC / NSS / PH Certificates (if any) while filling the Online application. ** Candidates are hereby advised that if due to network interruption at the time online payment of fees and upon debit of such fees from their account, please wait for 24 hrs, for confirmation of same and check the website for acknowledgement. Do not attempt to make payment twice instantly. Jharkhand Combined Entrance Competitive Examination Board was constituted under Section 85 of Bihar Re-Constituted Act, 2000 by the Govt. vide Memo No. 374 dated 29.03.2001. The Government of Jharkhand has assigned the responsibility of conducting entrance tests for admission into various Institutions in the state. J.C.E.C.E.B. presently organizes the following entrance tests annually (depends upon the approval granted by the respective Departments of Govt. of Jharkhand for the respective session.